Brakes are one of the most important components on your vehicle: One failed component can send you barreling uncontrolled toward danger. Though they are so important, there are plenty of misconceptions about them. We’re here to pump the brakes on these rumors and myths. Here are a few of the common myths about your car’s brakes. While warped rotors can happen on the racetrack, they rarely — if ever — happen on the open road. The reason is that there is not enough stress put on the brakes to warp them, nor does daily driving heat the rotors enough to cause warpage. So, what is the likely culprit to your brake vibration? There are a few likely causes — none of which are warped rotors. The most likely cause is brake material transfer. As your pads squeeze the rotor, the pad material transfers onto the rotor. Generally, this is a relatively even transfer, which prevents vibration, but if you did not correctly break in the pads or if there is a defect, the pads could deposit more material in one spot, causing a high spot that results in vibration. Another cause is a warped rotor bell. The bell is the raised part of the rotor that connects the rotor to the vehicle’s hub. This bell becomes warped when a technician overtightens the lug nuts and puts too much pressure on it. This is rare and requires a lot of pressure, but it is still more common than warped rotors. Improperly tightened hardware can also cause vibration when you press the brake pedal. While noise also generally accompanies this issue, that is not always the case. While some brake pads come with small metal tabs that rub against the rotor and make a squealing sound when they are low, this is not the case for all pads. Nor does a squeal mean there is always an issue — a little dirt stuck in the pads can cause a squeal too. A grind, on the other hand always means there is an issue. That said, if your brakes are grinding, you are too late and are already causing major damage to the brake rotors, calipers, and hydraulics. The moral of this story is do not wait until your brake squeal or grind to have a technician check them. 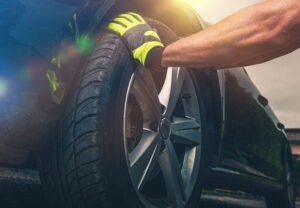 You should have them checked at every other oil change — during your recommended tire rotation — at minimum. Low Brake Fluid? Just Top it Off, Right? Like most fluids in your vehicle, the brake fluid is contained in a sealed system. The brake system does not consume fluid like the engine does gasoline, so it should never be low. If the fluid is low and your “Brake Fluid” light turns on, this is a sign of a problem. Generally, low brake pads and rotors trigger this light because the brake system needs more fluid to press the pads to meet the rotors. This can cause the fluid level to go below the minimum and trigger the light. This can also mean there is a leak in the brake system, which is a serious issue you need to fix immediately. If your brake fluid light is on, you need to have a technician check out the brake system immediately. While it would be great if stopping a metal disc spinning at thousands of rpm with metal-infused pads were a peaceful operation, it is far from that. Generally, brakes operate at a noise level that most can tolerate, but they can make some less-than-ideal sounds. Periodic chirps, squeaks, and grinds can be normal, especially if you opted for lower-quality brake pads. So long as these noises are only occasionally and not constant, there is no need to scurry to the shop and shell out big bucks for new brakes. 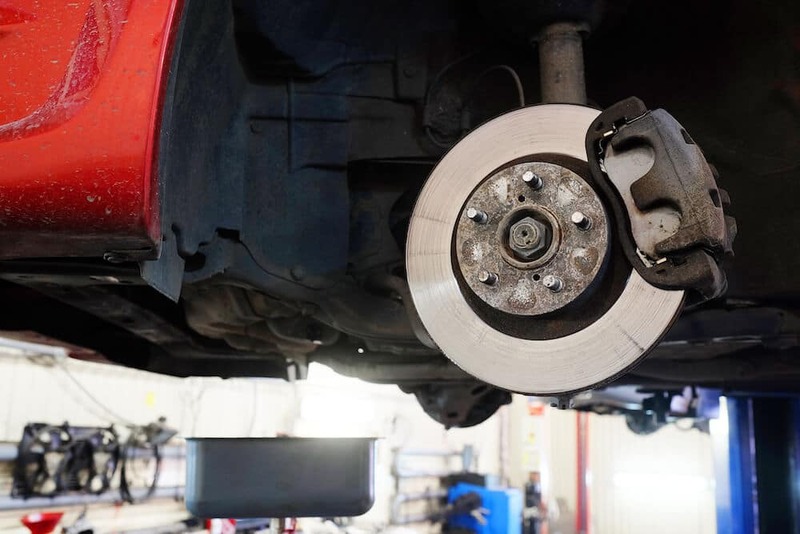 If you notice any consistent noises, vibrations, or other unusual behavior from your brakes, stop by the Garber Buick GMC Ft. Pierce service department serving Ft. Pierce, Florida for a full brake inspection. And no, you need not own a Buick or GMC to have our trusted staff service your vehicle.